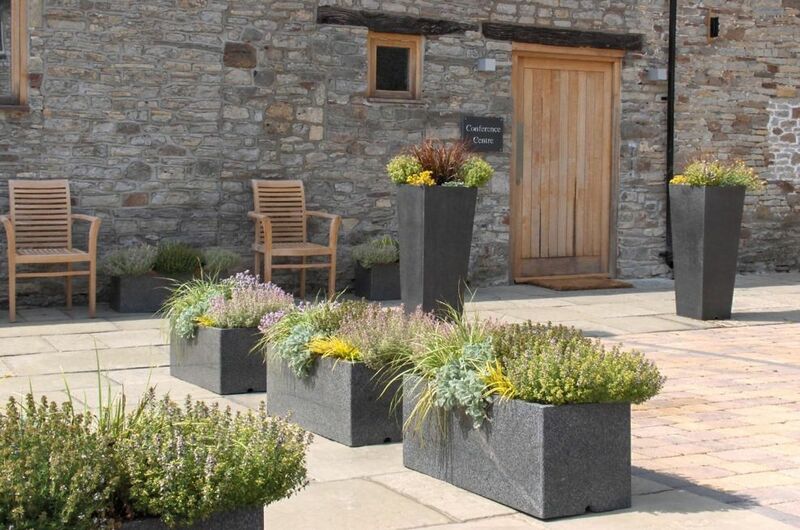 Mastercraft Interiors specified IOTA’s Granite stone planters for a paved area outside a recently converted historic stone barn, forming part of a Rolls-Royce plc training and hospitality site. It was felt that they were sympathetic to the development both in terms of material and style, and in keeping with the ‘contemporary meets traditional’ tone. 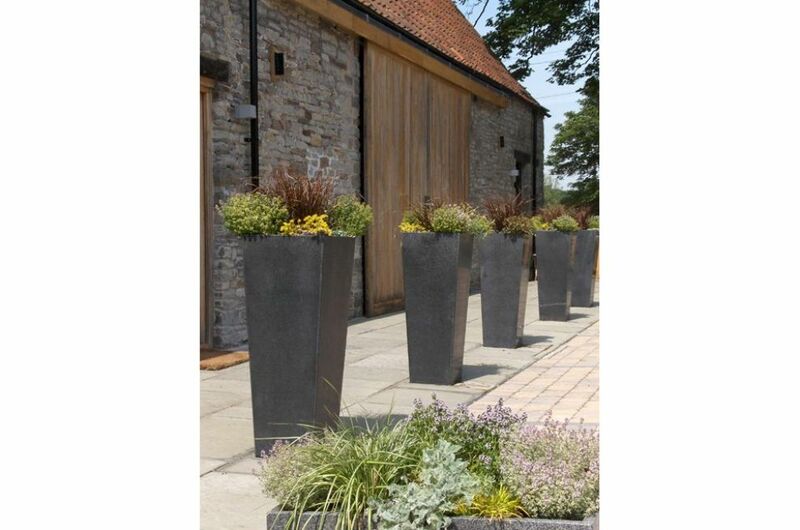 A row of Granite Tall Taper planters stretch across the front of the barn, edging the parking area. 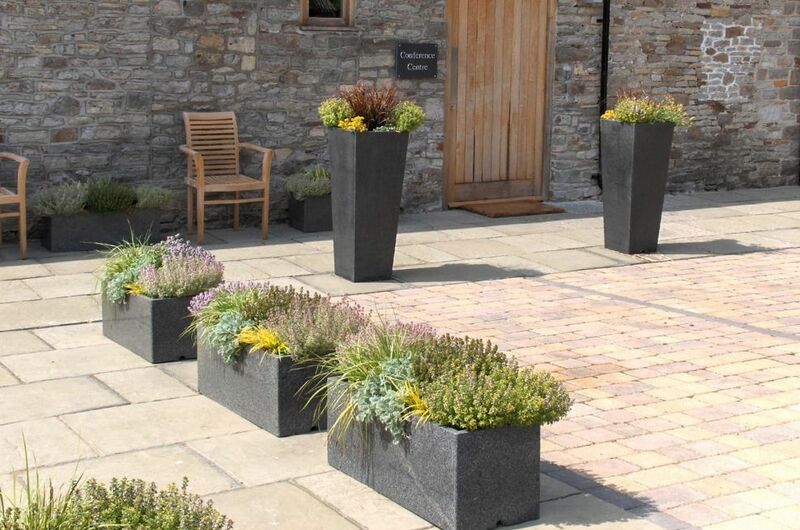 Attractively planted with mixed herbs, they add colour and fragrance to the courtyard. 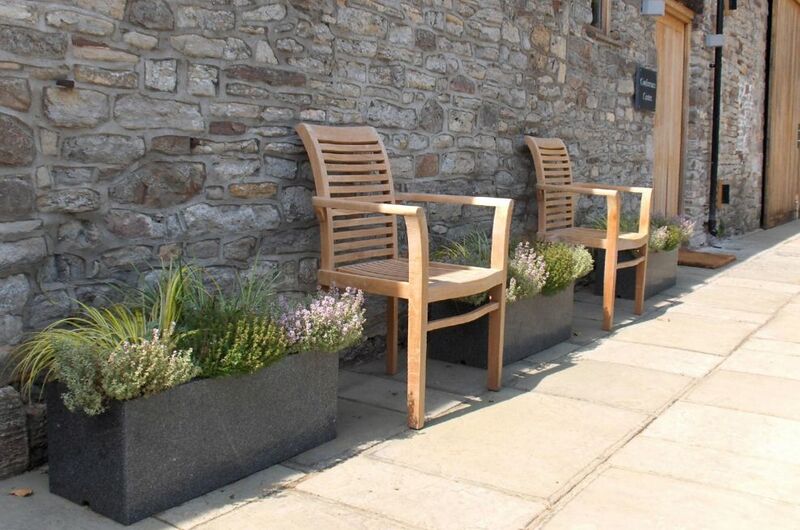 Trough planters filled with thyme and grasses provide an attractive area for seating up against the stone wall of the barn. 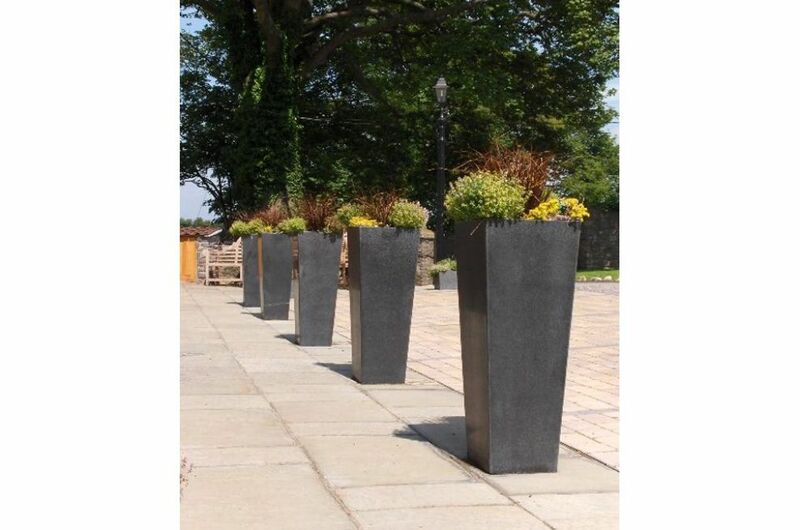 All planters can be moved by sack truck, and reconfigured as required – important flexibility for a busy venue which hosts a variety of high-profile events. 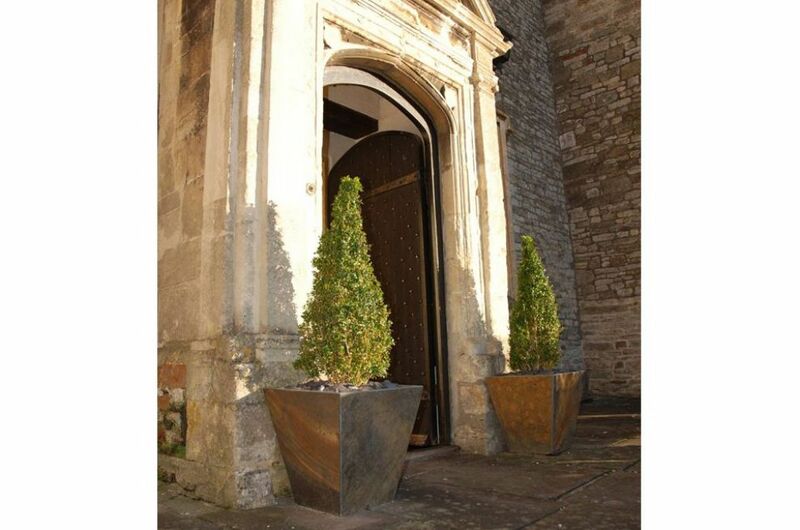 Elsewhere, IOTA’s Slate pots complement the original manor house, with its beautiful ornate stone entrance and brick-laid terraces. The rich coppery tones of the Slate work well with other stone, whilst adding a subtle contemporary note through their simple squared shapes. 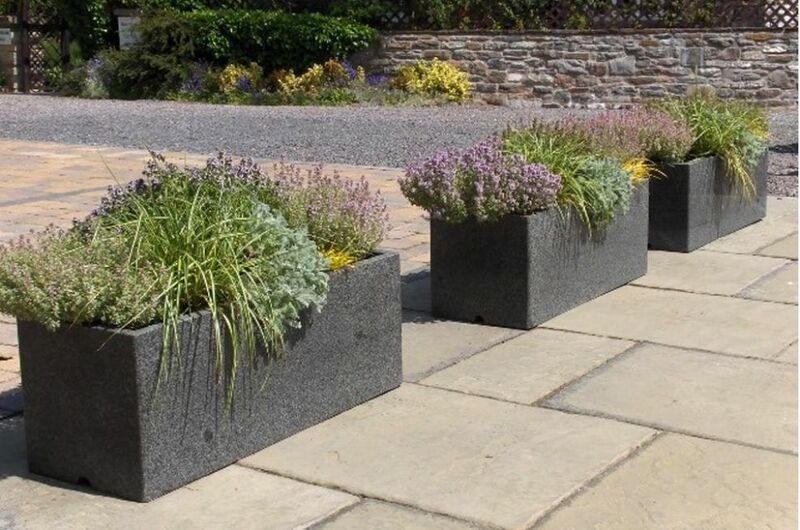 Planters used in this development include: Granite Tall Taper Planter XXL, Granite Trough Planter XL, Slate Low Taper Planter, medium and large.